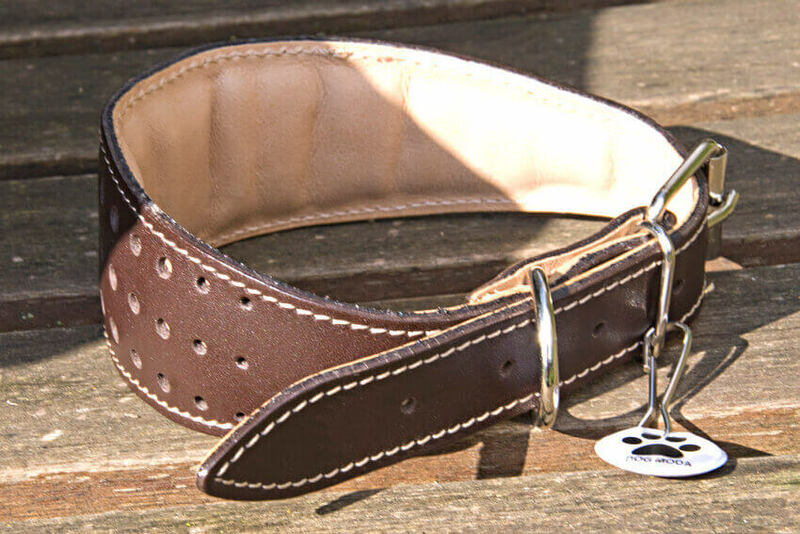 This simple yet elegant and functional hound collar is a perfect everyday collar for stylish hounds. 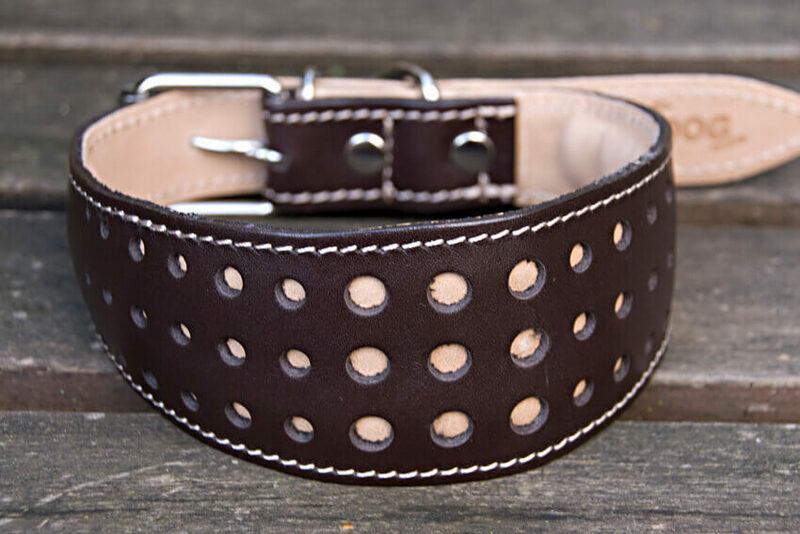 Our original and very popular design combines rows of beige leather dots with matt brown leather. 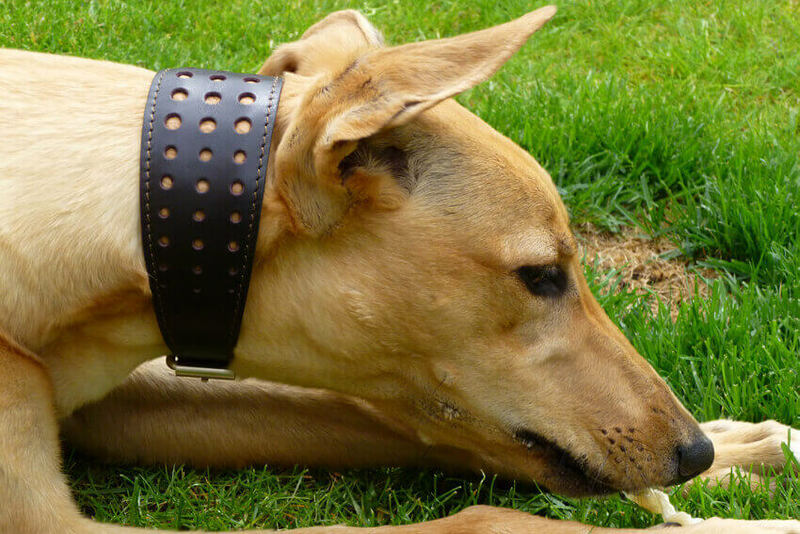 As one would expect from a Dog Moda hound collar our Elegant Brown Orchid collar is padded and lined with soft beige leather for ultimate comfort. Lovely collar. We have bought a whippet collar from you before, which had diamond shapes. That collar had slightly more padding, but this one seems fine for our 6 month old whippet. 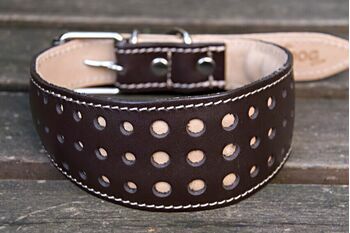 I've just shopped with you for the first time to buy a collar – and it's arrived and looks absolutely lovely.